Wanchain is a new blockchain platform with Chinese roots and a global mission. Our ambitious aim is to unite the world’s blockchains. The problem is that blockchains are currently siloed. As a result, it is challenging for chains to communicate directly without the use of central parties. This ‘intranet’ problem is well understood and many different teams are working on an ‘internet of blockchains’ solution. However, it is likely the most challenging problem our industry faces and no team has cracked it yet. Whoever solves the intranet problem must be able to leverage bleeding edge knowledge in a wide range of fields: cryptography, blockchain architecture, consensus algorithms, applied mathematics, smart contracts, p2p networking, etc. Given this high degree of difficult I put maximum emphasis on the Wanchain team while considering an investment of my most scarce resource (my time). Wanchain is lead by Jack Lu who was the Co-Founder & CTO of the Factom. Since both Factom, Jack, and I are based in Austin we have known each other for many years and I have had the pleasure of watching Jack and Factom evolve as a network (and increase in value 250x!). Jack is held with the highest esteem in the Austin, US, and Chinese communities and is one of the most well networked people in Chinese blockchain circles. He is not only a skilled technical architect but also is an MBA and has a strong business acumen. Furthermore he radiates passion for blockchain technology that has allowed him to assemble of a team of “all stars on all stars on all stars”. The Wanchain team has been instrumental in constructing the $250 million Factom network (as of 8/17), previously worked at well respected firms like IBM, Cisco, & General Motors, and are alumni of the #2 University in Asia — Peking University. Interoperability between ‘internet of blockchain’ solutions will be important as specific strengths will soon emerge between various solutions. In fact, Jae Kwon and Gavin Wood are already committed to connecting Cosmos & Polkadot. At Wanchain we look forward to working with other teams in the space to integrate our solutions to best serve the industry. While Wanchain will support cross-chain asset transfer, many are working on this. Where Wanchain is particularly unique is cross-chain smart contract execution. Wanchain will have its own distributed ledger with Turing completeness and smart contract functionality. 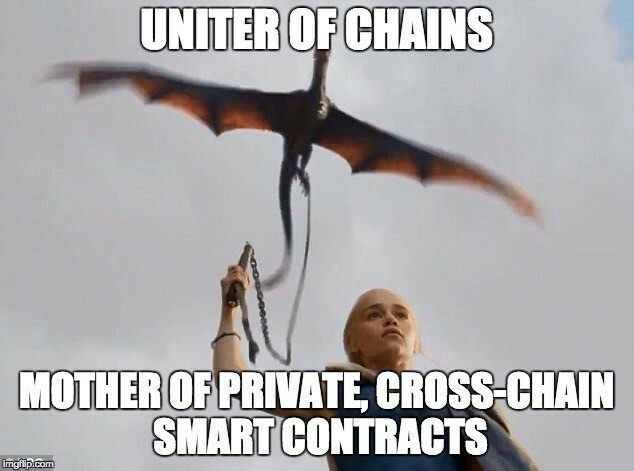 Smart contracts running on Wanchain will have the ability to take inputs and create outputs on multiple chains. Furthermore, Wanchain will be the first to achieve privacy protection for smart contract token transactions. For more information on Wanchain’s architecture please take a look at the Whitepaper, Yellowpaper, and Commercialpaper. 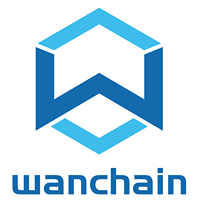 Cross-chain asset transfer and cross-chain smart contracts with privacy protection make Wanchain well suited for financial applications of significant complexity. Any organization or individual can develop and provide their own financial services on the Wanchain network. Our ‘super financial infrastructure’ will compete with other financial based platforms like Ripple. Wanchain is an open platform that all will be free to build on. We will soon be rolling out a number of programs and partnerships that will strengthen our ecosystem and our value proposition to application developers. Stay tuned. In the mean time — feel free to reach out to me on LinkedIn if you think your application could benefit from Wanchain’s private cross-chain smart contracts or our deep roots with the Chinese market. You can also email info@wanchain.org. As Wanchain’s Head of Global Investment and Business Development I am currently focusing on communicating the benefit of the Wanchain platform to global application developers. Soon I will be getting further involved with supporting these developers and the ecosystem at large. Before Wanchain I worked as a ‘venturepreneur’, starting two VC firms: Stokens Venture Capital and Family Office Venture Capital. I also Co-Founded Tendermint and Satoshi Talent. Prior to starting my entrepreneurial career I earned my MBA from the University of Michigan, worked at Goldman Sachs, graduated from Columbia University, and won a gold medal playing football for team USA. Please feel free to connect with me on LinkedIn, Twitter, Medium, or Steemit.